5th Gen Nuzlocke Challenge Thread! Discussion in 'Pokémon Challenge Forum' started by bobandbill, Apr 30, 2011. What is a Nuzlocke Challenge? A Nuzlocke challenge involves treating any Pokemon that you have in your party that faint 'dying', and hence said Pokemon cannot be used anymore in the challenge and must be replaced. In addition, you can only catch and use the first Pokemon you encounter in any city, town, cave or route. If the first Pokémon encountered faints or flees, there are no second chances with Pokemon on that route. You complete the challenge when you beat the Champion/see the credits. There are many other variations of such a challenge - such as having to nickname all your Pokemon (so you have a closer connection to your lost comrades =p) which will be used here, allowing for the first Pokemon you encounter to not include duplicates (so if you encountered a Rattata in one route as your first Pokemon and got it and then encountered another in the next route, you can wait until a different Pokemon appears and treat that as your 'first Pokemon'), no legendaries, restriction on healing items that can be used (beyond Revives obviously) and so forth. You can only use the first Pokemon you encounter in each route/town/city/cave. All Pokemon must be nicknamed. If a Pokemon in your party faints you must box/release it and not use it anymore in your challenge. If you wish to use any other restrictions, please specify them in the first post you make in this thread for your challenge. Well, I finally started this. I'm only at Striaton City, and am training my entire team to Lv. 13 before I battle Cheren. I decided I am going to do a Black Nuzlocke. No repeats. I chose Oshawott (DrHorrible) as my starter and when I got to Route 1 I caught a Patrat (Book). I got to Accumula and defeated N then I went to Route 2 and caught a Lillipup (Forgot to nickname it but it's ok because I sacrificed it anyway). I eventually made it to Striation City where I ended up getting Pansear (Jayne). I trained a little bit before taking on the gym where I manged to win fairly easily, but lost that Lillipup in the process. That is where I stopped. Decided to do this in Black. Its Japanese, however, and I'll be unable to translate nicknames for them when I catch them, so they'll have nicknames on here but not in-game. 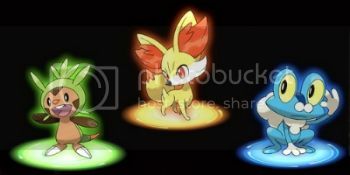 -Legendaries can be used IF they are the first ones found in an area WITHOUT using a Repel. -Floors of caves are different areas(Ex. Chargsestone Cave allows for three captures instead of one), but buildings do not count as different areas(Ex. Catching a Pokémon on Route 2 forbids me from trading for the Emolga. Reviving a Fossil bars me from trading for the Petilil). -Extra captures are only allowed for In-Game Trades. I started with Snivy, which shall henceforth be known as Leaf Lord. Easily beat Bianca and Cheren. Juniper showed us how to catch Pokémon, which I mindlessly button mashed my way through. My first capture was a Patrat, which I've come to call Mine(Pronounced Mee-Nay). Raised Leaf Lord to Lv.8 and Mine to Lv.6 and went to Striaton City. Mine easily beat N's Purrloin. On Route 2, I caught a Lv.7 Lillipup, which I've named Courage. Got Mine and Courage to Lv.8 and Leaf Lord to Lv.9 and battled Bianca. Leaf Lord grew to Lv.10, and Mine grew to Lv.9. Beat the trainers in the Dreamyard, with Mine and Courage growing to Lv.10. I'm now fighting trainers in the Striaton Gym in order to level up my party. I continued on this morning and captured a Pidove (Forgot to nickname) and put him in the PC. I also managed a Woobat (Again forgot to nickname >.<) and defeated the Grunts easily with Book and Jayne. I fought the trainers on Route 3 and also Audino grinded my team to lvl 17. I made it to Nacrene with no casualities and headed for Pinwheel Forest in hopes of finding a Fighting type. Luckily, I encountered a Sawk first and used Jayne's Yawn to put it to sleep for the easy capture. I trained it against Audino and that is where I stopped. I haven't updated this in quite a while. I'm currently training before battling Elesa. I decided I wanted to get my team to lvl 20 before taking on Lenora. So I fought all the trainers around Pinwheel Forest and then headed to go fight the gym trainers. But first was N. And I somehow lost Book against his Tympole (He was my least favorite character on the show anyway). I eventually grinded up to lvl 20 and headed for Lenora. I started off with CaptHammer who managed to take out Herdier without taking any damage. Then I sacrificed Pidove to Retaliate and sent CaptHammer in to finish the job, where it took out Watchog with 2 Double Kicks because Hypnosis missed. I got the badge and saw the Dragon Skull get stolen. I went inside the forest and captured a Cottonee (Inara) and went back outside to train it. Woobat managed to evolve during the training. I got everyone to Lv.12 and challenged Chili. Blasted Lillipup chewed Mine up and spit her out, giving me my first death. Courage was pissed off by this and got a Critical Hit, which took out Chili's Lillipup. Courage also managed to take down his Pansear. I was forced to speak with Fennel before I could deposit Mine into the box I have named "Cemetery." At the Dreamyard, I caught my next team member, a Purrloin that has been given the nickname Catnip by a friend of mine. I got Leaf Lord and Courage to Lv.17, with both of them evolving, and Catnip to Lv.14 and decided to train on Route 3. Beat Cheren easily, and got Catnip to Lv.16. As I was attempting to get the Super Potion, my newest team member decided to show up. A Pidove that I jokingly called Pidunce. Guess what his nickname is? Pidunce has been just plain AWESOME though. Two battles, and he went from 9 to 14(Okay, they WERE Audino). Did some translating and found out his ability is Super Luck. Got him to Lv.15 and he learned one of the better moves he can learn. Misclicked though, so he has two Flying moves. Oh well. Now I'm training my team before I go to Wellspring Cave. EDIT: Got everyone to Lv.17 and went in the cave. I chased off Team Plasma with Cheren. My first encounter was a Woobat, who I've named Iru(The chatspeak term ILU written as it would be when literally translated into Japanese and back. Also, Ilu seems like a good name for a girl, and mine is male). Iru got to Lv.17 and I made my way to Nacrene City. Outside Pinwheel Forest, I caught a Tympole that I had trouble coming up with a name for. I finally decided on Blaster. First trainer battle that Blaster was in alone was against a Nurse's Munna. Bam! Critical hit with Psybeam. Blaster died before gaining a single level. Anyway, I got everyone to Lv.20, with Catnip evolving. Then I went to the Gym. I had to switch out with her Watchog because it was going to kill Leaf Lord, and then again because it knocked Catnip down to 7 HP. Courage managed to defeat it rather easily, though. After getting the Dowsing Machine, I went to Pinwheel Forest and captured a Sewaddle that I named Leif(Get it? Leif instead of Leaf? *shot*). Managed to get Leif to Lv.18 before an Audino got a critical hit and killed it. I swear this game is trying to keep me from having a full team. After that, I got my team to Lv.22, with Pidunce evolving. Now I'm making my way through the Forest to get the grunt with the skull. EDIT2: Got the Skull Back. I then made my way to Castelia City, and then onto Route 4. I caught a Male Scraggy that I named PantLizard. As I went back to level him up, I accidentally walked in front of a Trainer. Her first Pokémon was a Pidove that knew Air Cutter. I stand by my previous statement about my party size. PantLizard didn't even gain any experience. I got everyone to Lv.24 and Iru decided to evolve. Its a good thing nobody was around when it happened, because I let out an embarrassing noise throughout the whole time it was evolving, since I wasn't expecting it. I beat the Plasma Grunts in Castelia, and challenged the gym. Pidunce managed to solo it, but he nearly died because of a Critical Razor Leaf from Burgh's Leavanny. I healed before battling Bianca, who was no challenge at all. I made my way to the Desert Resort. In the entrance, I caught a male Sandile that nearly took out Catnip. I named him Quake, and he became my sixth member. Inside the Desert Resort, I caught a male Dwebble that I named Hermit. Finally, inside the Relic Castle, I caught a male(Okay, this is getting weird. I haven't had any Females since Mine) Yamask, which I called Pharaoh. I accidentally forgot to get a fossil and realized it after I had made my way all the way back to Nacrene City. I did my research, and found that only four of the Pokémon I either have(E.g Quake, Hermit, and Courage) or have access to(E.g Tirtouga) can learn Ground moves(Dig, to be exact). I did some swapping, and now I'm training Quake and Hermit before going back to the Relic Castle. I advanced my way through Pinwheel Forest, getting the Dragon Skull back. I exited the forest and crossed Skyarrow Bridge to arrive in Castelia. I immediately did the Plasma stuff to get through the game faster and took on the gym where my newly evolved Jayne and Swoobat (Who I nicknamed Wash) destroyed everyone. With my new badge I headed to Route 4 where I captured a Sandile(Groupie #1) and skipped all the trainers as I made my way to the Desert Resort. Luckily, the first Pokemon I encountered was a Siglyph (Wash v2.0, which will replace Swoobat). I was hoping for a Maractus so I could replace Inara, but oh well. I went into the Relic Castle and captured a Yamask(Reaver) and got the Plume Fossil and revived it all the way back in Nacrene City into Archen(Mal). I trained my team Castelia and on Route 4. Next stop...the Desert Resort for more training. Since no one has died recently I will only post my current team. I'm considering doing a Nuzlocke challenge at some point in Black (or a future White version). I have a couple questions, though... take Wellspring Cave. If I were to catch the first Pokemon I encountered at the entrance, would I be eligible for another capture if I entered a lower level of the cave and caught the first Pokemon encountered there? Also, is it illegal to use Repels in order to have the first encounter of the area be a Shaking Grass Pokemon (or, in the case of a cave, a Dust Cloud)? Tecnically you are free to do whatever you want because it is your game. Generally it is the first Pokemon you encounter and that's it. So if you captured a Woobat in Wellspring Cave on the first floor then you cannot capture another Pokemon in Wellspring Cave (Shinies are the exception...unless you're crazy). Again you can do want, but I do not see any reason why you couldn't use a repel to find a certain Pokemon. As long as it is the first Pokemon you encounter then go for it! Started a Nuzlocke challenge on White last night. My Team...Ready To Be Killed. Started a Nuzlocke Challenge on Black 2 weeks ago, and this is how far I've came. Okay, what the heck? A violent, flying fish? Vast Snivy is Epic too! 5. In Game Trades may be done only if the Pokemon that I trade is the first I encounter. 8. You may buy 1 Revive for every gym you beat and your Pokemon will not be handicapped. 9. You may use Rare Candies you find to revive your Pokemon. So I started the game. Chose boy and named him "Vast." I chose Snivy and named him "Serpex." I did the beginning stuff and went to Route 1 where I watched Juniper catch Patrat and I found a Patrat. I caught him and named him "Watchy" based off of the Unova TV show "Watchy Watchog." I was going to use him but I chose to use him as a spare instead. I just left him on my team incase Serpex died. I trained Serpex to Level 8 and moved on to Accumula Town. In Accumula Town I did the Pokemon Center stuff with Bianca and Juniper and I bought some Potions and Pokeballs. I went outside and watched Ghetsis talk about Team Plasma. I battled N and Serpex beat his Purrloin. I went to Route 2 and got Running Shoes. I found and captured "Rover" the Lillipup. I trained so that Serpex was level 9 and Rover was Level 8. I fought the fist youngster on the Route and Saved my game. I made it to Striaton City. I went and got Panpour and named him "Splash" I challenged the Gym. I sacrificed Watchy and he died. Serpex and Rover died to Critical Hits in the gym. I am going to use the "Revive Rule" since the next Revive is in the Dreamyard. Splash beat Chili's Pansear. Wow. It's been absolutely forever since I have done this Nuzlocke. However, I am also working on my HG Nuzlocke, plus I had the rush of finals and graduating to deal with. I am so glad summer is finally here! @TotalPotato-I hope Lucy survives as well! Sorry about your Lucinda. I finished up my training, then I went to Nimbasa City to face N. The battle was pretty easy, but I did almost lose my Solosis, Lucy in the process. She survived with 2 HP! I finished battling with him, and continued to the gym. I battled the first trainer, and actually had a bit of trouble. Since I only have three pokemon, then I think I might take one or two from the box and train them just a little. Lucy, Toby, and Niles are about level 30, but I really don't want to lose any of them, so backup might be needed. Please check out my nuzlocke!! I finished the Dreamyard and Fennel thing and caught a Munna and named him "Fuji." I trained and moved on to Route 3. I battled the preschoolers. I caught a Blitzle and named him "Lightspeed" I trained him. I went to Wellspring cave and found and caught a Woobat and I named her "Batrio" I trained her along with Splash, Lightspeed and Fuji and I beat Team Plasma. No one feels bad about how I have 18 deaths? Shame. Body Count: Same as last time, 18. Before I got to Icirrus City, I caught Clawcurb and evolved it into Excadrill. I then decided to store Blindy in my PC with the others in case I may have to fly back to a different location to catch a new team member (only if my team dies). After that, I headed for the gym of Icirrus City. I got the Fresh Water (which is really useless at this point!) from the the man at the start of this ice gym (I HATE Cubchoo and Endure now). My friend says I'm overpowered right now, which I think is hilarious. You can NEVER be too overpowered in a Nuzlocke challenge (unless you're pushing to level 100), or at least I think. The third trainer I found to be the MOST ANNOYING! Two Endures in a row. What the heck? Not fair! After him though, it was a cakewalk. Finally, it was time to battle Brycen! Clawcurb almost died to Cryognal, but it pulled through. Brycen was beaten, got my badge and proceeded to Dragonspiral Tower! Alright, I finally got my nerve up to face Elesa. I added my Darumaka, Zenny, and my Yamask, Alice, to the team from the box. (Just in case!) She started off with her Emolga, and I started with Toby. Emolga (of course) used Volt Switch, and Toby used Crunch. He killed one Emolga that way, but then she Volt Switched to her Zebstrika, and by that time Toby was in the red. I switched out to Lucy, and she used Hidden Power x2(It's ground type) before she was in the red as well. I sent out niles, and he took down the Zebstrika, and I switched in Toby for a quick crunch on the last Emolga. He made his attack, and I won the badge! I was happy it went so well, but I was annoyed at Elesa. Does she know ANY other attack than that stupid Volt Switch? Ugh. After the badge, I headed to Route 5, where I faced Cheren. His Liepard was quickly killed by Niles, and his Pansage and Pignite by Lucy. I used Toby to defeat his Tranquill. Toby leveled up, and he also evolved! It was a pretty easy battle, and I am ready to go to Driftveil City. Good luck! Clay can catch you off guard at times. That's how Duck-E5 died. Just before entering in the main tower, I surfed along the water over to land and a trainer, for training for my new teammate, Dancegal, the Palpitoad. :536:Muscle still proves to be more than useful, but required on my team, taking out two ace trainers by itself. However, Muscle had quite the close call with the second one. I got TM63, Embargo, to add to my TM collection, and move on to explore the rest of the waters. Before I did, however, I tried to catch a Sawsbuck, for it was the first Pokemon I found outside the tower. I didn't know if it was worth wasting a bunch of Pokeballs on nothing though, as I couldn't catch it at all. I soon gave up, even though I wanted it. After that experience, I learned something. Don't rely on luck alone. I had no Ultra Balls. That alone should've made me give up, even though I didn't. I went to buy some Ultra Balls and healed up before entering the tower. Inside the tower, I found a Golett and caught it. It shall be known as Ghost Joe. I continued onto the second floor. Perfect place for training, I must say. All these Golett running around makes it easy for Dancegal. I found a Stardust, which I would soon sell. I made my way to the puzzle on the third floor. It reminds me of Heartgold and Soulsilver's Bell Tower, just a simplified version. I found a Shiny Stone, which really could've been useful back when Cloudy was still alive. Now it's just useless. On the fourth floor, I FINALLY met up with Team Plasma. There aren't too many grunts in this place, making me feel bored out of my mind during this place. Clawcurb took care of every single Pokemon, as they were WAY too easy. Earthquake and X-Scissor FTW. Sure, I could've used Muscle for this place, but he's level 41, and Clawcurb is only level 37, so he needs the levels. None of these grunts were hard. The only thing that was annoying, I believe was Liepard and Fake Out. They will usually hit you at least twice, as it is rare to have a Pokemon faster than Liepard. I can't wait for the cursed Relic Castle (boy is that place a nightmare). Before moving on, I found a Dragon Fang, which I shall keep, for it shall come in use later. I reached the fifth floor after 5 pathetic grunts, only to find more useless items. Stardust, Star Piece and a revive. Finally at the sixth floor, I get the four-in-a-row grunt fight. This is what I was excited about. It will really help keep the EXP rolling in to Ghost Joe. After I made it to the top and got N to show off Zekrom, I gone to Relic Castle, and this is where I am now. :536 ancegal Lv. 32 [F]NEW!! :622:Ghost Joe Lv. 34 [-]NEW!! Honestly, I'm scared to play the Nuzlocke becuse I don't want to die.